How Torturous Is ‘A Dog’s Way Home’ for Animal Lovers? How Torturous Is A Dog’s Way Home for Animal Lovers? Near the end of Mary Harron’s 2000 film American Psycho, as Patrick Bateman’s insanity reaches fevered heights, the (maybe) serial killer picks up a kitten and appears to be on the verge of shooting it at the insistence of an ATM’s instruction screen. We’ve seen Bateman commit one unspeakable act after another yet this is the most upsetting moment. When he kills a woman instead, letting the kitten go free, it’s a relief. Or at least it is to viewers of a certain temperament, those for whom any scene of an animal in peril or distress is torture. The Human Centipede? Audition? Hostel? Whatever. Bring ‘em on. The climactic scenes of Old Yeller or Turner & Hooch? Never again. For such folks, and I count myself among them, the new A Dog’s Way Home might as well be a Saw sequel. A Dog’s Way Home doesn’t wait long to get to the rough stuff. As it opens, young Bella is enjoying an idyllic puppyhood, or at least as idyllic as a puppyhood spent beneath the ruins of a collapsed building can be. She lives with her mother and siblings side by side with a nursing cat and her kittens. (Dogs and cats living together, just like Peter Venkman feared!) Then one day the cruel forces of Denver’s Animal Care and Control show up and grab as many animals as they can, including Bella’s mother. With a voice supplied by Bryce Dallas Howard, Bella notes, “I never saw her again.” Fortunately, she’s taken in by the cat she’ll take to calling Mother Cat, who nurses her and cares for her as she grows into a bigger puppy before being taken home by Lucas (Jonah Hauer-King), a med student and worker at the local VA center with a soft spot for animals, and his mother Terri (Ashley Judd), a veteran who’s having a hard time adjusting to civilian life. Fearing eviction if their landlord learns they’ve taken in a dog, Lucas and Terri bring Bella to the VA center and lock her in a supply closet — a room filled with dangerous chemicals and other dog-threatening items — for safekeeping. Fortunately, this doesn’t last long, and soon Bella’s working as an unofficial therapy dog, helping to cheer up Terri and some of the other veterans. 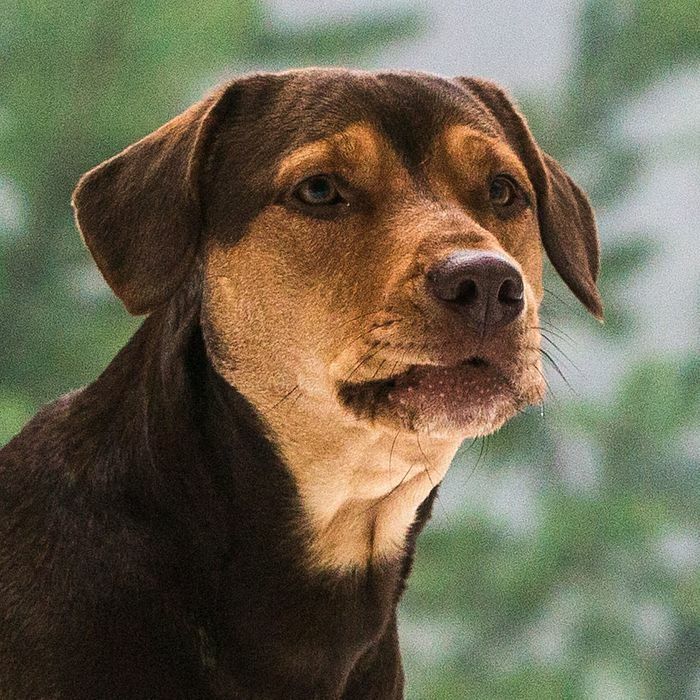 In a long, unpleasant sequence, Bella is taken in by an especially awful Animal Care and Control officer named Chuck (John Cassini), and she does not take well to life in the slammer, opting to sit nicely and hope to be reward for her good behavior as Howard’s voice-over grows increasingly confused as to why she’s being punished and kept apart from Lucas. It should be noted here that Howard is an extremely good actress and that the voice-over effectively suggests the earnestness and limited understanding of a dog’s inner life. In other words, bring Kleenex. Fortunately, Lucas and his co-worker/love interest Olivia (Alexandra Shipp) are able to spring Bella after learning about draconian breed restriction laws that can label any dog that resembles a pit bull as a threat. (“That’s basically racism for dogs!” Olivia exclaims, which, well, let’s just leave that there.) The good news: Bella gets to go free. The bad news: She has to go live with Olivia’s aunt miles away in New Mexico while Lucas settles to the more dog-inclusive town of Golden, Colorado. Try to have some Kleenex left over from the animal-shelter scene. Bella’s happy enough in New Mexico, but she misses Lucas, so she decides to run away and find him, which is (a) brave, (b) dumb, and (c) extremely doglike. After a while, she falls in with a pack of dogs with cute names like One-Tooth and Crazy Hair, picking through the trash and begging for scraps from local businesses. But, she soon learns that they’re just slumming and they all have homes (and apparently negligent owners) to whom they can return each night. Bella says a sad farewell then heads back into the woods. The hunters aren’t interested in Bella. Instead, they’re interested in killing a cougar, which they do, leaving behind a cub that Bella befriends and names “Big Kitten.” Bella is played, in most shots, by a real, and extremely expressive, dog named Shelby. Big Kitten is a CGI creation, and not a particularly convincing one, leading to many slightly unnerving scenes of a real dog frolicking with an almost-but-not-quite-real-looking cougar. The film is set in the wilds of New Mexico and Colorado, but that territory includes a couple of uncanny valleys. Though others are endangered in this moment, Bella seems far from harm. A man snowshoeing with his dog Duke gets caught in the cascade and injured, but he’s pretty mean, so it’s not all that upsetting. Post-avalanche, Bella and Duke are taken in by a nice gay couple who give her a new rainbow collar and pamper her. She seems happy, but her love for Lucas can’t allow her to settle down. She leaves Duke behind to enjoy the sweet life and hits the road. A Dog’s Way Home is adapted from a novel by W. Bruce Cameron, who also wrote A Dog’s Purpose. Most likely, Cameron loves dogs. But maybe he hates them? Late in the film, Bella is taken in by Axl (Edward James Olmos) a homeless vet who cares for her but also keeps her chained and unable to leave his side. Then, while camping by the river, Axl dies, leaving Bella unable to reach water for days, as Bella’s voice-over gets increasingly mournful and panicked. Cameron, come on man. Why do that to a dog, even a fictional dog? What’s wrong with you? By the end of the film, it’s revealed that Bella has spent two-and-a-half years making her way back to Lucas. For most of that time, she’s trailed by a pack of wolves apparently playing the long game before making their move. When they do, they’re vicious and seem like they’re on the verge of killing her when, in an example of the venerable literary device known as cattus ex machina, Big Kitty shows up to fend them off. In the harrowing finale, Bella makes it back to Denver then stops traffic by wandering onto the highway. A crowd gathers around her in an attempt to keep her from getting hit by a car, but then she gets hit by a car anyway. For a moment, she seems to be dead, but then she rises, bloody and limping, to make her way back to her home. Only, when she gets there, Lucas doesn’t live there anymore. A Dog’s Way Home has a happy ending, because of course it does, but getting there is a rough, rough ride if you have a hard time watching dogs in trouble. That A Dog’s Journey, a sequel to A Dog’s Purpose, is just around the corner in May seems downright inhumane.